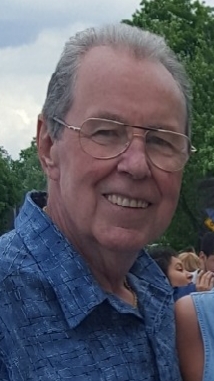 Danny Gene Coffey “Boone”, 77, of Terre Haute, Indiana, passed away December 2, 2018. He was born October 9, 1941 to Frank and Bea Coffey. Danny retired from Alcan after 38 years. He loved hunting, fishing, and watching the Green Bay Packers. Danny was a devoted husband, father, and grandfather to his family. He was preceded in death by his parents; brothers Jim Coffey and Don Smith. He is survived by his wife of 56 years, Patty (Abolt) Coffey; daughter Danielle Coffey; sons Rick Coffey (Missy) and Ron Coffey (Julie); grandchildren Jennifer, Dustin (Sammi), Clint, Kelsey, Liam, Tierra, Devin, Shawn, and Shane; great grandchildren Macy, Levi, Brianna, Chance, Alaina; mother-in-law LaVerne Abolt; nieces Liz, Nance, and Genell; nephews Chuck and John; sister-in-law Bette Coffey; and childhood friend Jim Cannaday. Funeral services are scheduled for Wednesday, December 5, 2018 at 6:00p.m. in Greiner Funeral Home, 2005 North 13th Street, Terre Haute, Indiana, 47804. Pastor T. Michael Russell and Rev. Joseph Pate will officiate. Cremation has been chosen after services. Visitation will be at the funeral home on Wednesday, from 3:00p.m. until service time. Online condolences may be made at www.greinerfuneralhome.com .